A state historically not accustomed to hockey is about to get just a bit chillier this spring with the incoming 2017 Kelly Cup Playoffs. And with college football champions in the Clemson Tigers and women’s college basketball champions in the South Carolina Gamecocks, the Greenville Swamp Rabbits and the South Carolina Stingrays are hoping to take advantage of the winning streak in the Palmetto State. The Swamp Rabbits (40-26-5-1) and Stingrays (40-28-3-1), both of which had successful runs in the regular season, will play game one in Greenville at 7 p.m. Thursday. 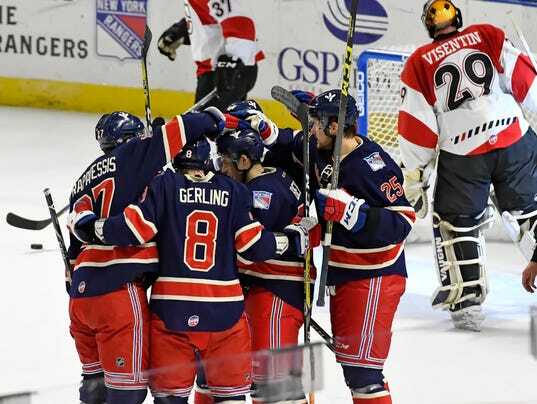 The Swamp Rabbits, an affiliate of the New York Rangers and AHL Hartford Wolf Pack, ended a successful regular season on Saturday against the Atlanta Gladiators with a 6-2 win. The Swamp Rabbits are no amateur to the playoffs, but particularly this year, the team has seen growing momentum and support in its fan base and in the greater Greenville community. In August 2015, the team rebranded, changing names from the Road Warriors to the Swamp Rabbits. A year later, the team introduced a mascot, Stomper. Lewis said those changes elicited a stronger community response. 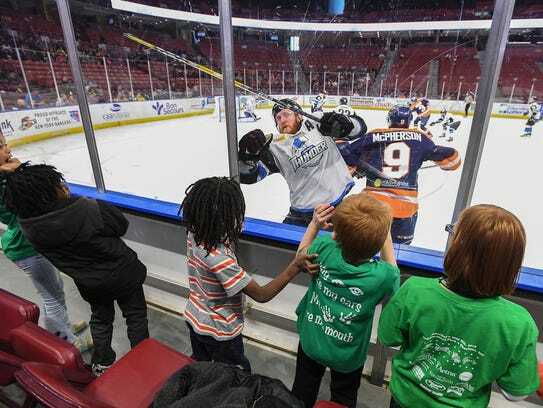 At the Bon Secours Wellness Arena, the Swamp Rabbits brought in just under 3,900 fans on average during the regular season. The year prior brought in less, roughly 3,656 per game, Lewis said. Fan Appreciation Night on Friday brought 6,216 fans to the Well, the team’s website said. Like most ECHL teams, the Swamp Rabbits aren’t just selling hockey. Every season, managers and their staff look at ways to create top-of-the-line entertainment and affordable option for families, with hockey mixed in. That also rings true for the South Carolina Stingrays, said President Rob Concannon, who added this year the Washington Capitals affiliate saw attendance and revenue grow. Concannon said theme game nights brought around 7,000 to 7,500 fans to the North Charleston Coliseum. An average regular season game could average roughly 4,000 fans. But in South Carolina, a state dominated by college sports, there can be challenges. Throw in specials for food, beer, add a fight or two on the ice, “and you’re winning. You’re gaining exposure with folks who haven’t been there before,” he said. ECHL Commissioner Brian McKenna said with 27 teams in the league, more than half are up this year in attendance. In all leagues, McKenna said team management and marketing staff work hard to find what ideas and promotions work in their market. Once a year, ECHL teams also come together and listen to industry speakers talk ways to expand the brand. One way is by intertwining a team in the community. In short, giving back. 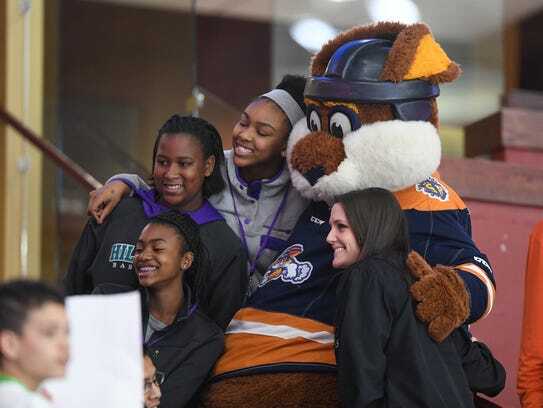 Within the past year, Lewis said the Swamp Rabbits organization has given back more than $100,000 toward charitable causes and increased its partnership with area nonprofits and organizations, that include the Girl and Boy Scouts of America and the Greenville County school district. Could a solid South Carolina team and great fan and community support translate into a championship win? Judging by Clemson and the Gamecocks, it could be contagious, McKenna said. 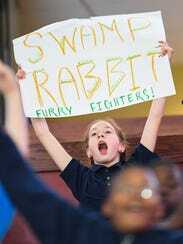 Playoff tickets are now available at swamprabbits.com, ticketmaster.com or the Bon Secours Wellness Arena Box Office.